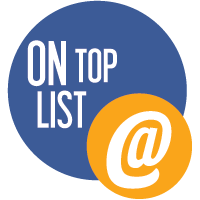 What would be a better decor item then one which is edible and actually healthy for you? Three awesome qualities in one! Check out my little wheat grass garden which scores a lot of “Wow”, “Soo cute”. 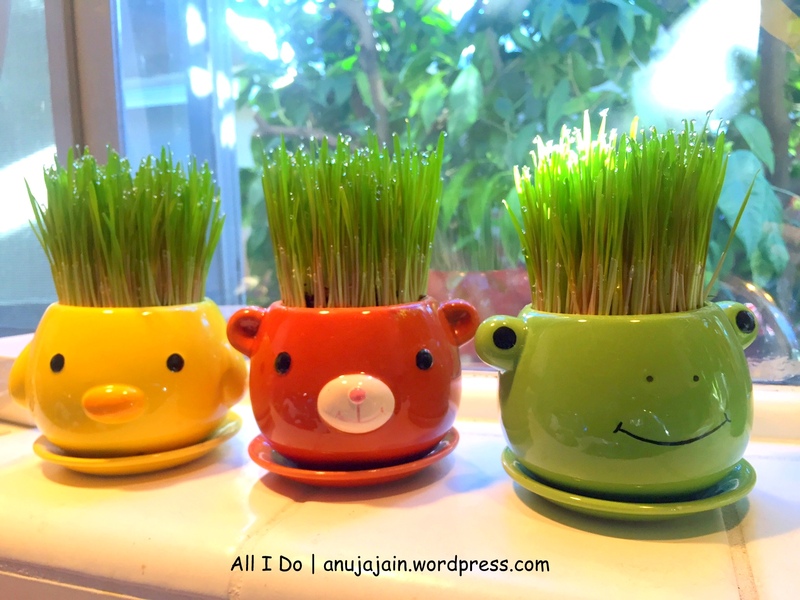 “These are adorable” comments and I use it to make wheat grass juice shots every couple of days! If you are growing wheat grass at home anyway, I implore you to make your planters a delight to look at. 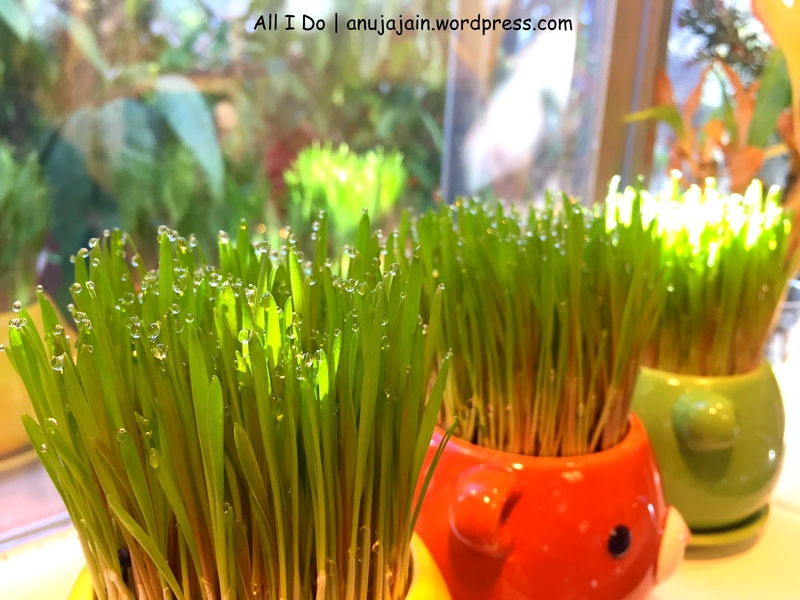 I have been growing wheat grass for over three years now. Using to go boxes, tofu packaging etc and tossing them in recycling once done. They have always been sitting on my kitchen window looking just ‘meh’ until recently when I stumbled upon these cute planters in a daiso location nearby. Aren’t they cute?